Satellite imaging is in a time of rapid change, with a satellite capable of recording details down to 50cm coming online only four years ago, and already being replaced with one capable of a 25cm resolution (4 times as many pixels for the same area). As the resolution of these systems increases, so does the variety of possible uses for them. However, access to the images is relatively costly (approximately £10 per square kilometre) which affects the applications that are viable. 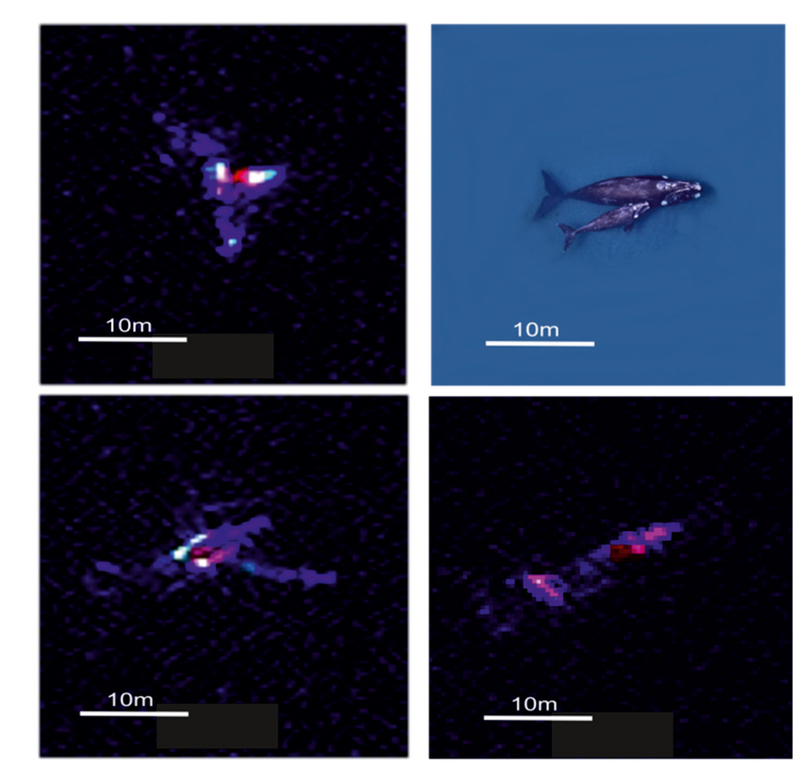 The BAS research term, led by Dr Fretwell, has developed algorithms that can detect several types of whales and count them in the oceans, using the satellite images. Using spectral analysis, they can also use the same algorithms to detect sea-bird populations via the guano around their colonies, which has a unique spectral signature that varies according to the birds’ diet. There are already well-established commercial activities in the fields of military and police operations, and vegetation measurement, which make use of satellite imagery. Similarly, aerial surveys are used commercially to monitor animals on land. This strongly suggests that it should also be possible to create a viable business using the BAS satellite analysis techniques. 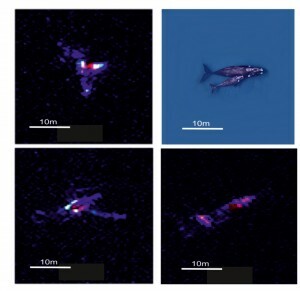 Dr Fretwell’s particular expertise lies in detecting and measuring relatively small things that move, down to a size of two pixels (1m at present, and 50cm from the end of 2014). As well as the whales and sea-bird populations, the BAS team have also carried out global counts of the Emperor penguin population, for example, and have generated interest from the tourism industry, various conservation bodies and the International Whaling Commission. 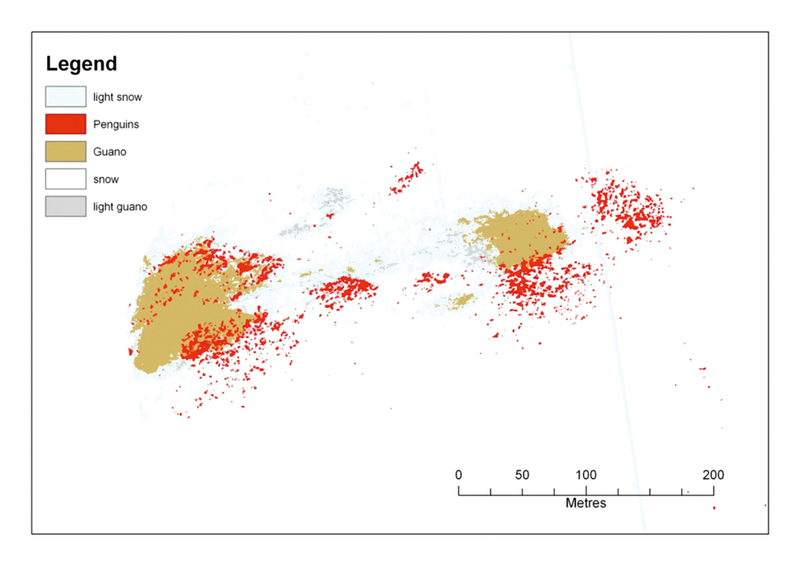 The challenge for the i-Team is to investigate the range of possible uses for these algorithms, and also the different types of organisations that would be interested in the results of these analyses. This is expected to include governmental, inter-governmental and conservation interests, as well a range of commercial applications.